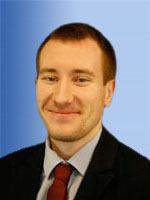 Tom joined Grosvenor in 2012 after graduating from the University of Kent with a degree in History. He is most clients’ first point of contact and is responsible for the whole range of client services including private and public viewing. Tom’s many responsibilities also include supervision of the scanning of philatelic items, as well as the preparation and despatch of auction lots. Tom lives in Luton with his partner and is particularly fond of any philatelic item larger than A4 size.